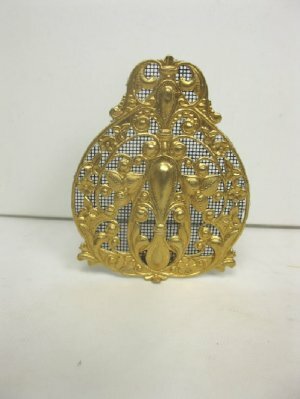 Metal fire screen with a decorative floral design. Approximately 2 3/4" tall x 2 1/8" wide. Hand crafted in the U.S.